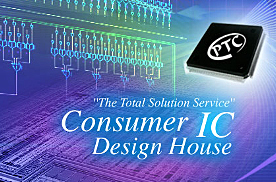 PTC is a professional IC design company headquartered in Taipei, Taiwan with branch offices in Hsin-Chu (Taiwan), Shenzhen (China), and Torrance (USA). PTC was listed on the Taiwan OTC (over-the-counter) market in 2001. 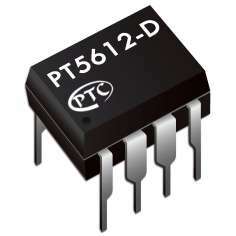 Since its establishment in 1986, PTC has become a leader in Taiwan’s consumer IC design market. Dominant products include LED Lighting Driver, Ballast Driver, Multi-media Audio Controller ICs, Display Driver ICs, Home Theater Audio/Video Controller ICs, Remote Control ICs, Encoder/Decoder ICs, and ASICs and may be applied to LCD TVs, automotive multimedia devices, portable audio players, digital TVs, home audio/video appliances, and car security systems. In 2005, PTC formed a new RFIC division via outside acquisition in order to quickly meet the trend of increasing popularity of RF products in communication and home entertainment devices. As a result, PTC’s product lines have become more complete. In December of 2006, PTC obtained ISO/TS16949 certification, a standard of quality that is widely recognized by automobile manufacturers. As a consequence, the PTC-brand has gained prominence in the lucrative car-use IC market and the quality of PTC’s products has become more renowned. Recently, in response to the market trend of Green Power (Energy-Saving), PTC has invested in developing IC technology for energy-saving lighting solutions. 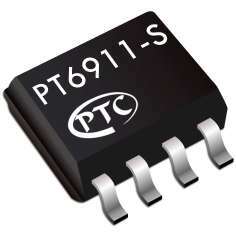 To date, PTC has successfully designed a series of energy-saving Dimming Ballast ICs and High Power Dimming LED Driver ICs, which may be applied to all kinds of outdoor and interior lighting products. PTC has years of experience in both analog and digital IC design and enjoys strong support from the world’s leading foundry partners. Nimble execution of product strategies to meet market trends allows PTC to continually launch new products and successfully penetrate emerging markets.